Let us assume for the sake of argument that recent research had disproved once and for all every one of Marx’s individual theses. Even if this were to be proved, every serious ‘orthodox’ Marxist would still be able to accept all such modern findings without reservation and hence dismiss all of Marx’s theses in toto – without having to renounce his orthodoxy for a single moment…. [O]rthodoxy refers exclusively to method (1971 p.1. Italics in the original). In this and other respects Lukács was always original both in his approach and in his conclusions. He, however, acknowledged his debt to Ernst Bloch (1885-1977), a fellow German philosopher, who first convinced him ‘through his example that it was possible to philosophize in the traditional manner’ (1983 p.38). Up until 1914 Lukács, in his own words, ‘had been wasting [his] time with the Neo-Kantianism of the period.’ But in Bloch he ‘encountered the phenomenon of a man who could do philosophy as if the whole world of modern philosophy did not exist and who showed that it was possible to do philosophy like Aristotle and Hegel’. Lukács always regarded Bloch ‘as a wholly admirable person and of great integrity,’ even after Bloch left the then German Democratic Republic in 1961 (1983 pp.126-27; see also Lukács 1974 p. 67). It is indeed somewhat overwhelming: ‘doing philosophy’ without referring to contemporary philosophers and not quoting from their works whether in approval or in refutation. It takes tremendous courage and sky-high self-confidence to write a series of articles on Goethe’s Faust with only a copy of the play and a handful of secondary works, all belonging to the eighteenth century, on the table. That is precisely what Lukács did in his Goethe studies that began in the 1930s and were completed in the 1940s. All of them were in the form of essays with not a single footnote or endnote, ruthlessly driving one point, namely, despite occasional backslidings Goethe stood on the side of reason against the irrationalist German romantics. Lukács rarely cites non-German writers, even when they happen to be Marxists or Hegelians. On the evidence of his magnum opus one might be pardoned for supposing that he had never heard of R. G. Collingwood. A few passing references to Christopher Caudwell exhausts the subject of Marxist aesthetics in the English-speaking world. Even within his own culture area he is curiously selective, since he ignored all members of the Frankfurt School, including Theodore Adorno; Lukács does not even refer to Arnold Hauser and Hans Mayer, etc. (1976 pp.116-17). In the light of Lukács’s declaration of his debt to Bloch, there is nothing inexplicable or astonishing in this. Lukács was ‘doing’ aesthetic as an extension of his ‘doing philosophy’. He had no need to refer to current works on philosophy or aesthetics. Whatever little he required of anthropology he gathered from V. Gordon Childe (1892-1957), the author of that significantly entitled work, Man Makes Himself. In an interview with the New Left Review (published in July-August 1971) Lukács candidly said: ‘When all is said and done, there are only three great thinkers in the West, incomparable with all others: Aristotle, Hegel and Marx’ (1983 p. 181). He admitted that to that day (1971) he had not lost his admiration for Hegel, and ‘I think that the work Marx began – the materialization of Hegel’s philosophy – must be pursued even beyond Marx. I have tried to do this in some passages of my forthcoming Ontology’ [the book on ontology came out in 1971]. (1983 pp.181-82). Interestingly enough, the idea of an independent Marxist aesthetics owing to none excepting Marx and Engels was not a brainwave of Lukács. It was the natural outcome of a debate that was going on in the Soviet Union in 1930. A. Deborin (pseudonym of Joffe Abram Noisweebich, 1881-1962), a Russian Marxist philosopher was trying to establish the orthodoxy of Plekhanov. No less a person than Joseph Stalin (1879-1953), the then head of the Soviet Union, came out in protest against this. Stalin, like his mentor V. I. Lenin (1870-1924), believed Marxism to be an integral world outlook, not a hidebound petrified doctrine (Lenin 1967a p. 41). Stalin’s criticism of Plekhanov gave Lukács the idea of making a similar critique of Mehring. Lukács acknowledges his debt to Stalin in this respect. He declares: ‘[I]t is a sheer prejudice to imagine that everything Stalin did was wrong and anti-Marxist’ (1983 p. 86). Again he said, ’I have never doubted for a moment that Stalinism involved the destruction of reason. But I would not think it right to criticize Stalin, let us say, because we had discovered some parallel or other to Nietzsche’ (1983 p. 104). While not denying that a number of the later features of Stalinism manifested themselves in the Stalin-Deborin debate, Lukács unhesitatingly admits that Stalin’s defence of an extremely important point of view (namely, Marxism as a totalizing worldview) played a very positive role in his own development (1983, p. 86).2 The entire subsequent development of both Lukács and Lifschitz was set in train by their works on an independent Marxist aesthetics. The notion, that aesthetics forms an organic part of Marxism, is to be found in the two essays Lukács wrote on Marx’s and Engels’s letters to Ferdinand Lassalle, the author of a play called Franz von Sickingen. The essays appeared in Der Rote Aufbau (1932) and Internationale Literatur (1933). On the basis of this novel outlook (namely, ideology cannotbe a yardstick for aesthetic achievement) Usevich went on attacking the political poetry of the day with perfect impunity. Neither was she tried or imprisoned nor was she ‘purged’ (1983 p.100). Lukács himself was not much involved in all this since he did not know Russian. Nor was he ever taken to task for expressing his views on Hegel in the second half of the 1930s, at a time when Andrei Alexandrovich Zhdanov (1896-1948) had proclaimed Hegel to be the ideologist of feudal reaction to the French Revolution. At a later stage Zhdanov together with Stalin depicted the entire history of philosophy as a long running conflict between materialism and idealism. This is how Lukács represents the new phase of philosophical studies in the Soviet Union. This representation, however, cannot be wholly true. Lukács was perhaps forgetting that long before Zhdanov and Stalin, Engels had spoken of the split of all philosophers ‘into two great camps, idealism and materialism’ (Ludwig Feurbach and the End of Classical German Philosophy (1888) in: Selsam and Martel 1963 p.48). As against this opposition, materialism vs idealism, Lukács focusses on a different polarity in his The Destruction of Reason (German edition 1954, English edition 1974). He claimed that the struggle was between rational and irrationalist philosophy. Lukács admitted that the irrationalists were all idealists, but materialists were not their only opponents. There were idealists among the rationalist opponents too. This is indeed totally incompatible with the Zhdanovian theory, but Lukács was not blacklisted for his rather unconventional view. On the contrary, his ‘left’ critics accused him for underplaying the polarity of materialism and idealism. But, let it be noted that Lukács did not have to face any inquisition, either in Moscow or in Budapest, for holding such an unfashionable view. In fact Lukács had never been expelled from the Hungarian Communist Party, although he was definitely under a cloud until well into the 1960s. What appeared in the Hungarian encyclopedia in 1962 regarding Lukács’s alleged expulsion from the Party was vehemently denied by Lukács himself (1983 p. 134). If I were able to discuss with him this proposed essay of mine, he would most certainly direct my attention to its objective nature. “For,” he would say, “it is not altered in the least by the fact that I have died.” I would venture to object that his death would be certain to have an emotional effect on the author and, not unlikely, on the readers of this article in their attitude to the subject. Because the latter would appear, by the fact of death, unexpectedly final and closed and we would not have been prepared for it. “All this is very likely,” he would reply, “but what we are prepared for is one thing and what the subject is quite another. The subject is not altered by the state and character of our preparedness” (The New Hungarian Quarterly 1971 p. 26; Psyche and Society, May 2013, pp. 7-8). [I]t was none other than Lukács who drew attention to the proto-fascist features of Naphta’s character. He was of course aware who Thomas Mann’s model was but he considered it the writer’s private business where he took his models from. He was persuaded that as a literary critic he had only to do with the objective nature of the work as it had been realized readily and with their relationship it bore to reality, and he thought that he could well leave autobiographical matters, not bearing directly on the essential issues, to the painstaking care of philologists (The New Hungarian Quarterly (NHQ ) 1971 p. 32; Psyche and Society (PAS), May 2013, p. 12). Lukács claimed that this was his life long attitude to ‘important men’ (1983 p.40). He also considered this to be the critic’s ideal standpoint with regard to artists and to people in general (NHQ 1971 p. 32; PAS p.11). He remained unaffected by slanders that dogged him throughout his life. After hearing a particularly unsavoury slander he reflected a little and told Eörsi, ‘Look, I have always said that as long as I’m not there I don’t mind if they hang me’ (NHQ 1971 p. 31; PAS 2013 p.11). That Balzac was thus compelled to go against his own class sympathies and political prejudices, that he saw the real men of the future where for the time being, they alone were to be found – that I consider one of the greatest triumphs of Realism, and one of the greatest features in old Balzac (Marx-Engels 1976 p. 92). N. Krupskaya, Lenin’s wife, once provided a helping hand to Lukács. In a letter published posthumously (1960), it was found that in Krupskaya’s opinion, by ‘Party literature’ Lenin did not mean literature as fine art or imaginative literature. Apparently then Lenin meant only those pieces (non-fiction) that appeared in Party press . Certainly this interpretation gives an entirely new complexion to the formulation made in Lenin’s famous 1905 essay, ‘Party Organization and Party Literature’. Two years after the publication of this letter Lukacs declared he had long held that very view. ‘The importance of this statement is considerable, for this essay was the bible of sectarianism in the arts during the ideological dictatorship of Stalin and Zhdanov It is curious and interesting, that the publication of Krupskaya’s letter should have received so little attention’ (1969 pp.7-8). Although it is possible to make the most of this highly interesting and charitable explanation, not everybody has been taken by it. István Mészáros, otherwise a staunch defender of Lukács, is more than sceptical in accepting such a view of ‘Party literature’ in Lenin’s 1905 essay (1972 pp.107-09). Mészáros does not refer to Lukács’s preface to the English edition of Probleme des Realismus (Berlin 1955 English translation 1962) but to his essay on Solzhenitsyn (1969) in which Lukács cryptically refers to ‘Krupskaya’s letter’ without any further reference (1970 p.77). Yet the escape route provided by Krupskaya, intentionally or unintentionally, has been largely ignored by literary critics who claim to be Marxists. It is rather strange that Krupskaya’s remark on Lenin’s essay has not been reproduced in Lenin’s On Literature and Art, a collection of extracts of Lenin’s views as found in his writings or in the memoirs of others. In any case, Krupskaya’s clarification is rarely, if at all, mentioned in articles and book-length studies on Lenin and his aesthetic views. Since Lukács would like to be judged in the same way as he used to judge others, we would like to point out some of Lukács’s shortcomings at the end. First, he was thoroughly Euro-centric, having an extremely narrow perspective of ‘the great tradition’ reminiscent of the canon of F. R. Leavis (1895-1978), the eminent English critic of the last century. Second, Lukács’s generalizations are often rather sweeping; he disregards all evidence that go against his thesis. Third, he could never properly appreciate the contribution of modernists or even of Bertolt Brecht (1898-1956) as the founder of a new kind of theatre.9 Fourth, Lukács was constitutionally incapable of responding to poetry, whether of the past or of the present. And, last but not least, his political stand often blinded his vision. in his ultra-left phase he dismissed Rabindranath Tagore’s Ghare Baire (Home and the World) as a ‘Gandhi novel’ which betrays his utter ignorance of the date of composition of the original novel (serialized in Sabujpatra in 1914, published in book form in 1916, when Gandhi was nowhere in the picture), and the time when the translations into English (1919) and from English to German (1920) appeared. There is not the least trace of objectivity in Lukács’s assessment of Tagore as found in this deplorable review article which does little credit to his stature as a literary critic. One might multiply instances of many such limitations in Lukács’s works. Nevertheless, his contributions to both Marxist philosophy and aesthetics are admittedly outstanding. I have consciously avoided repeating Mészáros’s analysis of Lukács’s philosophical outlook as given in his Lukács’ Concept of Dialectic. He pinpoints three categories, namely, (a) “Ought” and Objectivity, (b) Continuity and Discontinuity, and (c) Totality and Mediation. His explication merits re-reading, not once, but several times. I have only tried to supplement Mészáros by highlighting the aesthetic aspects in Lukács’s literary-critical works. For an overview of Lukács’s outlook of literature and art, Bela Kiralfalvi’s The Aesthetics of György Lukács is a reliable guide. 1 Here and elsewhere I have adapted Lukács’s own words instead of quoting him verbatim every time. References to the sources are given in parentheses. 2 For further details regarding the debate see Kolakowski 3: 63-76. 3 Lukács mentions E. Ussiyevitch as ’[t]hat intelligent and courageous critic of the Thirties’ in his Preface to the English edition of Probleme des Realismus (printed as The Meaning of Contemporary Realism), p. 8. Lukács is said to have been ‘the intellectual leader’ of the Russian journal, Literaturny Critique whose inner circle comprised M. Lifshitz, I. Satz, and E. Usiyevitch (Mészáros p.139). 4 We shall come back to Balzac later. Let is be noted that Lukács often drew logical conclusions of this kind from the works of Marx and Engels and extended the scope of the original declarations/statements. 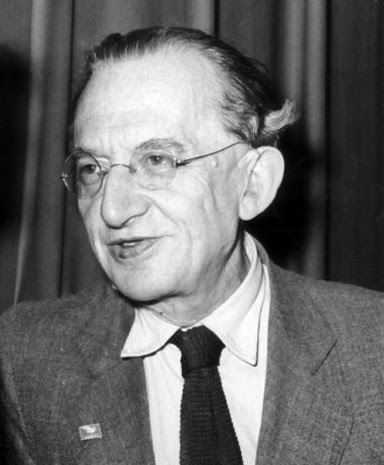 5 By ‘October 1956’ Steiner most probably means Lukács’s tenure as a Minister of Culture in Imre Negy’s Government and the course of subsequent events that culminated in his deportation to Romania (4 November 1956). Lukács had previously become a member of the enlarged Central Committee of the Hungarian Communist Party (Mészáros p. 149). 6 The reference is to Numbers 23:8-10. Balak there said to Ballam, ‘What have you done to me? I brought you to curse my enemy, and you heap blessing for them!’ To this Ballam replied, ‘Am I not obliged to say what Yahweh puts into my mouth?’ (23:11-12. Qtd. from The Jersalem Bible version). This happened not once, not twice, but thrice. 7 Leo Popper (1886-1911) was the first to develop a theory of ‘double misunderstanding’ at the level of artistic intention and that of reception. He wrote of this to Lukács on October 7, 1910 (Lukács 1986 p. 126, 128 n1). Leo Popper is known to have influenced young Lukács (Lukács 1986 p. 295). 8 Cf. ‘The artist usually sets out – or used to – to point a moral and adorn a tale. The tail, however, points the other way, as a rule. Two bluntly opposing minds, the artist’s and the tale’s. Never trust the artist. Trust the tale. The proper function of a critic is to save the tale from the artist who created it’ (D. H. Lawrence 1923/2003 p.14). To this Angela Carter added: ‘[Lawrence] was right, even if he did not want this to happen to his tales’ (Carter p.3). For further examples (for instance, the case of Dickens) see Hawthorn p. 71. 9 In his long essay, ‘Realism in the Balance’ (Das Wort 1938) directed against Bloch, Lukács praised a one-act playlet by Brecht. Brecht viewed it as a sinister compliment: ‘Lukács has welcomed The Informer as if I were a sinner returning to the bosom of Salvation Army’ (Bloch and others p. 58 n18). Bloch, Ernst and others. Aesthetics and Politics. London: Verso, 1980. Engels, Frederick. 1987. Ludwig Feuerbach and the End of Classical German Philosophy, in Selsam and Martel (q.v.). Eörsi, István. 1971. György Lukács, Fanatic of Reality. The New Hungarian Quarterly. Vol.12 No. 4 pp.20-34. Reprinted in Psyche and Society (Kolkata). Vol. 11 No. 1, May 2013 pp. 7-14. Hawthorn, Jeremy. Unlocking the Text. London: Edward Arnold, 1988 (first pub. 1987). Jerusalem Bible, The. London: Darton, Longan & Todd, 1968. Kiralfalvi, Bela. 1975. The Aesthetics of György Lukács. Princeton: Princeton University Press. Kolakowski, Leszek. Main Currents of Marxism: Its Origin, Growth and Dissolution. Vol. 3. Oxford and New York: Oxford University Press, 1982 (first pub. 1978). Lawrence, D.H. 1923/ 2003. Studies in Classical American Literature (1923), in:The Cambridge Edition of the Works of D.H. Lawrence. Eds. Ezra Greenspen and others. Cambridge: Cambridge University Press. Lenin, V. I. 1967a. Three Sources and Three Component Parts of Marxism, Selected Works. Vol. 1. Moscow: Progress Publishers. Lenin, V. I. 1967b. On Literature and Art. Moscow: Progress Publishers. Lichtheim, Georg. 1976. Lukács. London: Fontana/Collins. Lukács, Georg. 1974. Conversations with Lukács. Ed. Theo Pinkus. London: The Merlin Press. Lukács, Georg. 1971. History and Class Consciousness. London: The Merlin Press. Lukács, Georg. . Goethe and His Age. London: The Merlin Press. Lukács, Georg. 1983. Record of a Life. London: New Left Books. Lukács, Georg. 1986. Selected Correspondence 1902-20. New York: Columbia University Press. Lukács, Georg. . Solzhenitsyn. London: The Merlin Press. Marx, Karl and Frederick Engels, Selected Works, Volume 3, pp. 504-506. Mészáros, István. 1983/1991. Lukács’ Concept of Dialectic. London: The Merlin Press. Selsam, Howard and Harry Martel (eds.). 1987. Reader in Marxist Philosophy. New York: International Publishers. Steiner, George. 1960/1987. Lukács and the Devil’s Pact, The Kenyon Review. XXII, No. 1, Winter 1960, pp. 1-18. Reprinted in George Steiner: A Reader. New York: Oxford University Press, 1987. Wellek, René. 1983. A History of Modern Criticism 1750-1950. Vol.4. Cambridge: Cambridge University Press. This piece was presented in the Max Mueller Bhavan Library, Kolkata as a part of the lecture programme, The German Intellectual Tradition: From Kant to Habermas Phase II, on April 4, 2015.